The dates are confirmed for Queensland's PlayStation 4 National Premier Leagues clubs as the second-tier sides ready their Westfield FFA Cup 2016 campaigns. The Preliminary Round 5 matches mark the entry point for PlayStation 4 National Premier Leagues clubs into the national knock-out competition, which is now in its third year. All PlayStation 4 National Premier Leagues clubs – which comprises the national second tier of Australian club football – face off against local community clubs from lower tier competitions in a series of David-vs-Goliath battles. Matches featuring PlayStation 4 National Premier Leagues clubs will be contested in seven Queensland cities over the course of three weeks. The matches will determine the last remaining club in this year’s competition from five qualifying zones – Gold Coast, Sunshine Coast, South West Queensland, North Queensland and Far North Queensland. Two teams from regions outside Brisbane will ultimately advance to the national Round of 32 – one from the state’s north and the other from the state’s south. 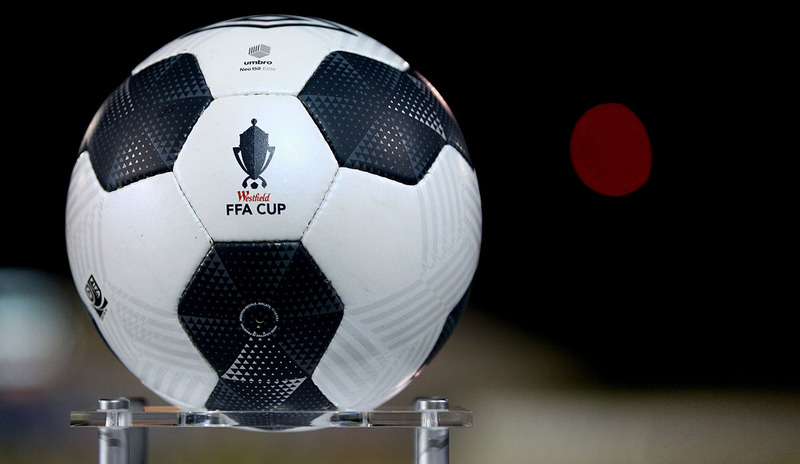 In the Brisbane Zone, results from Preliminary Round 5 will reduce the number of remaining clubs to eight – with the draw offering the possibility of all six PlayStation 4 National Premier Leagues clubs in the zone advancing to the next round. PlayStation 4 National Premier Leagues clubs across Queensland boast a mixed history in the Westfield FFA Cup since the competition's inception. Gold Coast City (who previously competed under the name Palm Beach SC) are Queensland's most successful club in the competition – twice reaching the national stages and twice advancing further than Hyundai A-League powerhouse Brisbane Roar. FNQ Heat and Brisbane Strikers have also twice reached the national stage of the competition, while Olympic qualified in the competition’s inaugural year in 2014. The remainder of Queensland’s PlayStation 4 National Premier Leagues clubs are seeking to reach the national stages – and a potential match-up against Hyundai A-League opposition – for the first time in their histories. While Sunshine Coast FC, Western Pride and Brisbane City are seeking their first ever wins in the competition after twice being eliminated at the first hurdle in the past two years. All but two opponents for Queensland's PlayStation 4 National Premier Leagues clubs come from third-tier community competitions in each zone. In the state's north, Edge Hill United play in the Far North Queensland Premier Men's competition in Cairns while Rebels FC compete in the North Queensland Premier Men's league in Townsville. In the southern regions, Surfer's Paradise Apollo contest the BLK Premier League on the Gold Coast, Willowburn FC play in the Toowoomba Premier Men's competition and Woombye are defending Premiers of Sunshine Coast's McDonald's Premier Men. In Brisbane, Lions FC, Eastern Suburbs FC, Mitchelton FC and Capalaba FC are weekly rivals in the third-tier Flight Centre Premier League, while Moggill FC and Pine Rivers United compete in the fourth tier Capital League One competition.